Kathmandu, 6 February : The main opposition Nepali Congress is holding its central working committee meeting at party central office, Sanepa, today. NC Spokesperson Bishwo Prakash Sharma informed that the meeting taking place at 1.00 pm would dwell on Mahasamiti-endorsed statute of the party, Nepal Student Union working committee and other contemporary political issues. 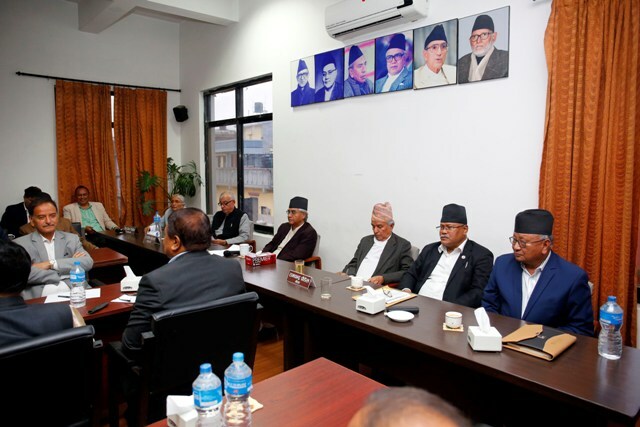 The Mahasamiti meeting of the NC had endorsed its statute in a way that the central working committee could amend the main law incorporating inputs and deliberations on it. Besides, the meeting would discuss government’s performances and contemporary political affairs, Sharma shared.